On the eleventh of Dhu al-Qi’dah, 148 AH (December 29, 765 CE), a son was born in the house of Imam Musa al-Kadhim (the seventh Imam of Twelver Shia Islam) in Medina. He was named Ali and titled al-Ridha, literally meaning in Arabic, “the contented”, since it was believed that Allah was contented with him. His kunya (alternative name) was Abu’l Hasan, since he was the father of al-Hasan; the naming of a father after his son being a common practice in Arab culture. However, in the Shia sources he is commonly called Abu’l-Ḥasan al-Ṯānī (the second Abu’l Hasan), since his father, Musa al-Kadhim, was also Abu’l Hasan (he was known as Abu’l-Ḥasan al-Awwal, meaning the first Abu’l Hasan). In keeping with his very high status amongst Shi’a, he has been given other honorific titles since, such as Saber, Vafi, Razi, Zakki and Vali. Ali was born one month after the death of his grandfather, Ja’far as-Sādiq, and brought up in Medina under the direction of his father. His mother, Najmah, was also a distinguished and pious lady. It is said that the boy al-Ridha required a great deal of milk, so that when his mother was asked whether her milk was sufficient, she answered, “it is not because my milk is not sufficient, but he wants it all the time, and consequently I am falling short in my prayers.” Originally a Nubian woman, she was purchased and freed by Bibi Hamidah Khatun, the wife of Imam Ja’far al-Sadiq, who was also a Um Walad of Nubian origin. Imam Ali ibn Musa was said to be shadid udmah or aswad, meaning he had a very dark skinned or black complexion. Bibi Hamidah was a notable Islamic scholar. Disputes exist regarding the number of his offspring and their names. A group of scholars (Sunni) say that they were five sons and one daughter, and that they were: Muhammad al- Qani’, al-Hasan, Ja’far, Ibrahim, al-Husayn, and ‘Ayesha. Sabt ibn al-Jawzi, in his work Tadhkiratul-Khawass ( تذکرۃ الخواص, Introduced eminence of the heirs of Muhammad The Prophet of Islam), says that the sons were only four, dropping the name of Husayn from the list. After the death of Harun al-Rashid in 809, Harun’s two sons began fighting for control of the Abbasid Empire. One son, Al-Amin, had an Arab mother and thus had the support of Arabs, while his half-brother Al-Ma’mun had a Persian mother and the support of Persia. After defeating his brother, al-Ma’mun faced many insurrections from the followers of the Prophet’s family in many areas. The Shia of al-Ma’mun’s era, like the Shia of today, who made a large population of al-Ma’mun’s Iran, regarded the Imams as their leaders who must be obeyed in all aspects of life, spiritual and terrestrial, as they believed in them as the real caliphs of the Islamic Prophet, Muhammad. The Abbasids, like the Umayyads before them, realized this as a big threat to their own caliphate, since the Shias saw them as usurpers of al-Ma’mun which was far from the sacred status of their Imams. Allamah Tabatabaei writes in his book Shi’ite Islam, that in order to quiet the many Shia rebellions around his government, al-Ma’mun summoned Imam al-Ridha to Khorasan and wanted to offer him the role of Crown Prince to prevent the Shias and relatives of al-Ridha from rebelling against the government, seeing as they would then be fighting their own Imam; secondly, to cause the people to lose their spiritual belief and inner attachment to the Imams, because the Imam would be associated with the corrupt government of al-Ma’mun. Thirdly, he intended it to fool other Shias into believing that his government was not so bad after all, because al-Ridha would then come into power after Ma’mun. And fourthly, he wanted to keep a close watch over the Imam of the Shias himself, so that nothing could happen without al-Ma’mun’s knowledge. “If this caliphate belongs to you, then it is not permissible for you to take off the garment in which Allah has clothed you and to give it to other than you. 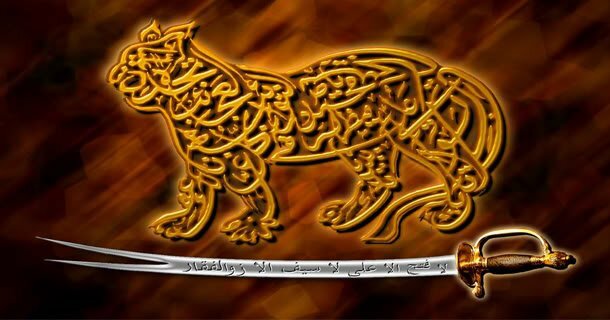 If the caliphate does not belong to you, then it is not permissible for you to give me that which does not belong to you.”Al-Ma’mun kept trying to make his offer seem sincere and kept re-offering the caliphate, and finally moved on to his real plan to make his Crown Prince be Ali al-Ridha. When Imam al-Ridha also declined this position, al-Ma’mun threatened him saying “Your ancestor Ali was chosen by the second caliph to be in a six member council to elect the third caliph, and ordered to kill any one of the six who didn’t comply. If you do not accept the position of Crown Prince in my government, I will follow through on the same threat”. al-Ridha said he would accept, under the condition that none of the affairs of government would be his. He would neither appoint anyone, nor dismiss. He would not rule, or pass laws. He would only be Crown Prince in name. al-Ma’mun became happy that al-Ridha had accepted and would stay out of his way in governing, and agreed to the condition. Al-Ma’mun even changed the black Abbāsid flags to green,the traditional color of Shia Mohammad’s flag and Ali’s cloak. He also ordered to mint coins with names of both Al-Ma’mun and Ali al-Ridha. Al-Ma’mun was very interested in working on various sciences translated into Arabic. Thus he arranged debates between the Imam and Muslim scholars and the leaders of religion sects who came in his presence. One of the discussions was on Divine Unity with Sulaiman al-Mervi; a scholar from Khorasan, another discussion with Ali ibn Muhammad ibn al-Jahm was devoted to the sinlessness of the Prophets, which led to another debate on the same subject which Ma’mun took a great part in it himself. Many of these debates are recorded in the collections of Shia hadiths, like Oyoun Akhbar Al-Ridha. The following is an example of these debates which took place between the Imam and an unbeliever(Zindīq). Al-Risalah al-Dhahabiah (The Golden Treatise) is a treatise on medical cures and the maintenance of good health which is said to have been written in accordance with the demand of Ma’mun. It is regarded as the most precious Islamic literature in the science of medicine, and was entitled “the golden treatise” as Ma’mun had ordered it to be written in gold ink. It has been explained in this treatise that one’s health is threatened when his blood, yellow bile, black bile and phlegm are unbalanced; and that nutrition and traditional medicine may be used to cure imbalances. Among his sayings is, “Do you think that you are a small body, while the greatest world has folded itself in you?”Research in the related documents, historical evidence and present volumes of this treatise indicates that even if a book titled Al-Risalah al-Dhahabiah could be attributed to Al-Ridha, it doesn’t constitute that the present versions are that precise book, and it cannot be taken into use as “Sunnah”. The Sahifah is a collection of hadith attributed to Ali al-Ridha which was transmitted by Abdallah ibn Aḥmad ibn Amer, who heard them from his father Aḥmad, who was said to have heard it from Ali al-Ridha in 194 AH (809–10 CE) at Medina. It contains hadiths on various topics like the invocation of Allah, the importance of praying five times a day and of saying the prayer for the dead, the excellence of the household of the Prophet, of the believer, of good manners, and of strengthening the bonds of kinship, and the danger of cheating, of backbiting, and of tattling. It discusses each member of the household of the Prophet. Uyun al Akhbar ar Reda:Uyun al Akhbar ar Reda is a book in which is gathered together everything that has been related about Imam from debates on religious questions and the sayings which have been recorded from him, to the explanations of the reason his name was chosen, and traditions concerning his death and the miracles which have occurred at his tomb. It is collected by Ibn Babawayh known as Al-Shaykh al-Saduq. Feqh al-Reżā:Feqh al-Reżā (al-Rida’s Jurisprudence) Also called al-Fiqh al-Radawi, is also attributed to Imam al-Ridha. It was not known till the 10th/16th century when it was judged to be authentic by Muhammad Baqir Majlisi. However, most of Imami scholars doubted its authenticity. It has been commonly held that Maruf Karkhi who was converted to Islam through Ali al-Ridha is one of the foremost figures in the golden chain of most Sufi orders. 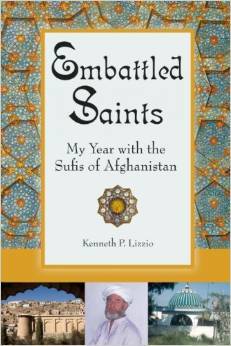 He was a devoted student of Ali al-Ridha and is an important figure for Sufism and Shi’ism. According to Corbin, although at the end of the Safavid period a Ni’mat Allahi Sufi from India named Ma’sum been sent by his spiritual master, Shaykh Shah ‘Ali Rida Dakhani, to Iran and settled with his family at Shiraz, to restore the Ni’mat Allahi order in Iran, however the Sufi order while owes its name to Shah Ni’mat Allah Wali, [a] goes back originally to the Eighth Shia Imam, the Imam ‘Ali Rida through Ma’ruf al-Karkhi. Al-Ma’mun thought he would solve the problems of Shia revolts by naming al-Ridha as his successor. After finally being able to persuade al-Rida to accept this position, al-Ma’mun realized his mistake, for Shia began to gain even more popularity. Moreover, Arab party in Baghdad were furious when they heard that al-Ma’mun not only appointed the imam as his successor, but sent out commands that the Abbasid’d black flag should be changed to green in honor of the Imam. They were afraid that the empire would be taken from them. They got together, therefore, to depose Ma’mun and give allegiance to Ibrahim ibn al-Mahdi, who was the uncle of Ma’mun. When Ma’mun heard this, the Imam advised him to solve the problem by dismissing him from his position but he did not heed and decided to return to Baghdad and assert his rights. However, when they reached the town of Sarakhs, his vizier was assassinated, and when they reached Tus, al-Ma’mūn poisoned the Imam. Then, Muhammad Taqi imam’s son came. Al-Ma’mūn ordered that he be buried next to the tomb of his own father, Harun al-Rashid, and showed extreme sorrow in the funeral ritual and stayed for three days at the place. According to Madelung the unexpected death of both the vizier and the successor, “whose presence would have made any reconciliation with the powerful ʿAbbasid opposition in Baghdad virtually impossible, must indeed arouse strong suspicion that Ma’mun had had a hand in the deaths.” The more popular record about his death is that he died in 203 AH, at the age of 50. The precise day is not agreed upon.